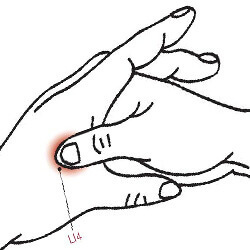 Push Button Pain Relief with Acupressure Points. We all have pain at some point and being able to use pressure point for relieving pain can be a great skill to have. It’s not as hard as you think. In this article we’ll talk about the easiest way to use the various pressure points on your body to manage and alleviate pain. Acupressure is an ancient method of Asian Bodywork that dates back over 5000 years. The practice of Acupressure utilizes the energy channels in the body (meridians) to optimize the natural flow of energy as a tool for improving health, reducing pain, and supporting the body’s healing abilities. Meridian channels run throughout the body and regulate the flow of energy (also referred to as “Chi” or “Qi”) through the body. There are twelve ‘regular’ meridian channels that run through the limbs and torso in the front and back of the body which are directly associated with specific organs and systems. These channels correspond to the lungs, spleen, heart, kidneys, pericardium (heart protector), liver, large intestine, small intestine, stomach, bladder, gall bladder and the “triple warmer”. Additionally, there are eight “extraordinary” meridian channels. These are not directly linked to major organs systems, but act as conduits of Qi to support the regular meridians. Numerous “Meridian Points” are located on the surface of the skin along each of the meridian channels. These points conduct bioelectrical impulses in the body. When stimulated, the meridian points trigger a release of endorphins which increases the flow of blood and oxygen to the area, reducing pain, relaxing muscles, rebalancing the body and promoting healing. 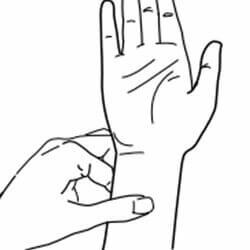 Meridian points can be triggered through touch, electrical pulses, heat or needles. Acupressure is a sister therapy to Acupuncture. Both systems are part of Chinese Medicine and use meridian channels and points throughout the body as gateways toward healing. 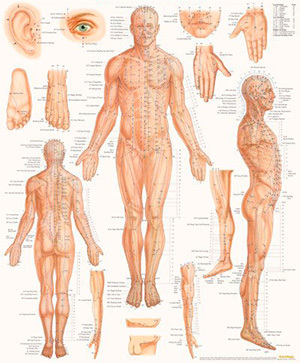 Acupuncture uses thin needles to stimulate the points whereas Acupressure uses touch and pressure. They can both be used for pain relief. Acupressure provides a broad range of healing benefits to the body. Using pressure to activate the meridian points releases tension, improves blood flow, decreases pain, and unblocks the flow of Chi. Through this, it promotes deep relaxation and healing while helping your body to restore proper function. Acupressure and acupuncture have been used for centuries in Asian and Chinese Medicine as tools for improving health and treating a wide variety of pain and different conditions. In Chinese Medicine, the body is seen as a complex energy system. When energy flows unimpeded, the body is in balance and in a state of good health. 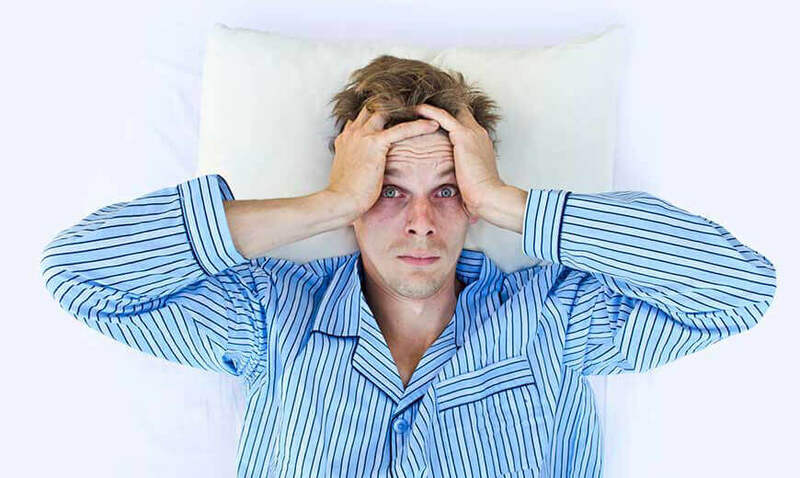 Illness is viewed as a manifestation of imbalances and blockages in the body’s energy system. Just as water is unable to flow properly through a hose that has a kink, life force energy is unable to flow through imbalanced or blocked meridians. Acupuncture, along with herbs, meditation, diet, exercise and other practices, help restore harmony and balance in the body. When the body returns to balance, energy flow is restored. Both Acupressure and Acupuncture is available through trained practitioners however, unlike Acupuncture, Acupressure can also be done on yourself. As a matter of fact, you probably already use Acupressure without even realizing it. For example, when trying to concentrate, you likely place your thumb and forefinger on your forehead just above your eyebrows – this is an Acupressure point that helps with mental focus. Here are some of the more common pressure points to get you started. Keep in mind that there are many, many more points than what is listed here. 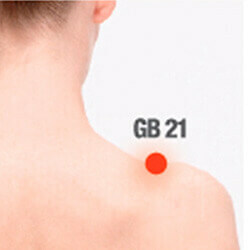 GB21 is located in the top of the shoulder, midway between the base of the neck and the tip/point of your shoulder. Use your thumb or fingertip to apply downward pressure. Hold or massage for several seconds. Breathe deeply. **GB21 may induce labor and should never be used during pregnancy. 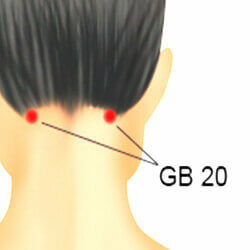 GB20 relieves cold symptoms, recommended for headache and migraines, decreased fatigue and helpful for blurred vision. GB20 is located at the base of the skull along the ridge of the occipital bone – midway between the ear and the spine where the neck muscles attach to the skull. Interlace your fingers and cup the back of your head with your thumbs extended. Use your thumbs to gently press or massage the point for several seconds. Take deep breaths and allow your body to relax. LI4 is a wonderful point to use for pain in the body. This point is located in the webbing between the thumb and forefinger – just at the base of the crease when you hold them together. Hold using deep firm pressure for several seconds while breathing deeply. ** LI4 may induce labor and should never be used during pregnancy. HP6 calms the spirit and reduces anxiety. Reduces nausea, upset stomach and motion sickness. Relieves carpel tunnel syndrome and headaches. HP6 is located three finger widths above the wrist crease on the inside of the forearm. Apply downward pressure between the tendons for several seconds. Works well in conjunction with TW5. ST36 reduces gastrointestinal discomfort, nausea and vomiting. Alleviates stress and fatigue. Regulates energy flow. 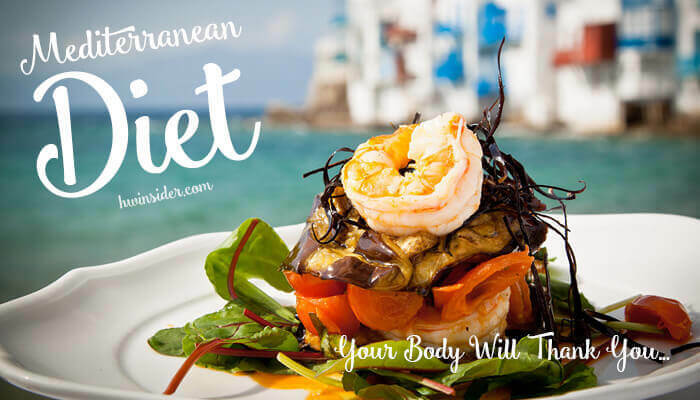 Said to promote health and longevity. ST36 is located about 4 finger widths below the knee in the depression on the outer side of the tibia (shin bone). Hold the points on each leg firmly, pressing inward for several seconds. Breathe deeply. TW5 regulates energy flow through the meridians, reduces fear. Relieves wrist pain associated with arthritis and tendonitis. Boosts the immune system. 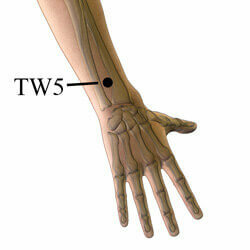 TW5 is located directly opposite HP6 – three finger widths above the wrist crease on the outer forearm. Bear in mind that Acupressure should not be used a substitute for medical treatment if you have an illness or disease. 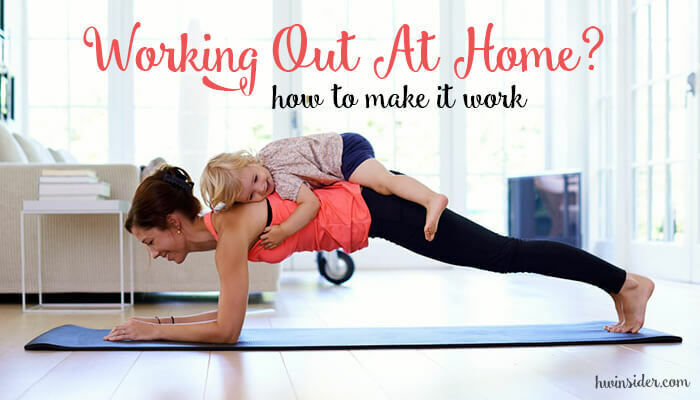 It is, however, a wonderful complimentary practice that helps support total body wellness. A common pain that people have is from tight hips. 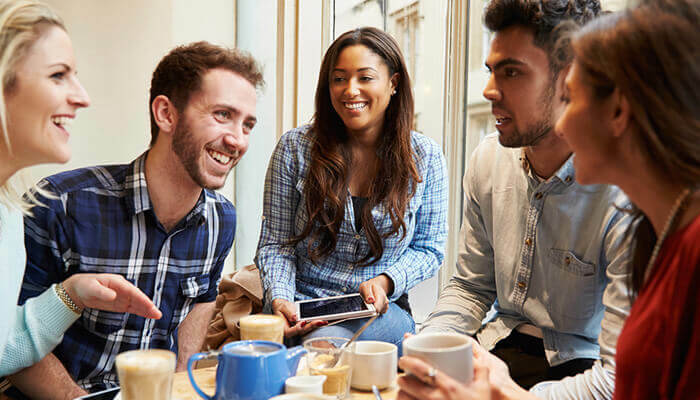 This is usually caused by sitting all day like most of us tend to do. Along with stretching tight hips, acupressure is a great way to use your body’s pressure points for pain relief.